The “7 Tips Before Investing in the Stock Market” post was created to provide investors some insights as to what they need to do before investing. Investing can be risky and, at the same time, rewarding. This post contains affiliate links/ads. See disclosure policy. Have you thought about investing in the stock market? Do you know what you can do to start doing it? The decision to place your money somewhere is a critical decision that shouldn’t be taken lightly or in a whim. One wrong move after the other may mean a not-so bright future for you. On the other hand, a small step can bring light to and better chances of you having the future you dream of. Over the years, I have learned so much about the stock market and investing. In my own little ways, I found my recipe to be successful in investing. Let's call this post investing in stocks 101. 1. Know your timeline (i.e. time associated with goals). Time can be your biggest ally or your worst enemy. Depending on when you will need the money will mostly determine what investment strategy you should take. Short-term goals are goals hoped to be to be achieved within 3 to 5 years and it is best to take a conservative investment position. Conservative investments tend to carry lower risks compared to aggressive investments but they do produce low returns, well, for most of the time. On the other hand, long-term goals are goals that are hoped to be achieved after at least 5 years and tend to lean towards higher-risk investments, which historically provide higher returns. 2. Test the water (i.e. start with small amounts). I know how it feels to put your hard earned money in the hands of the stock market. My wife and I have been there. It was the scariest feeling in the world. If you aren't comfortable with investing in the stock market or don't know where to start, you can always start small by investing cents to test the water. A financial app called Acorns will allow you to invest as little as $0.01. Best of all, those cents are invested on Vanguard funds known as one of the best funds that normally requires investors $10,000 or more for initial investment. Plus, you get $5 bonus if you sign up using my link. It will roundup your purchases and invest those cents into the stock market. Plus, it will give you cash back offers (more like 20%) far higher than those from the biggest cash back sites out there. That is just remarkable. Some of the great cash back offers include: AirBnB ($200), Walmart (1%), UBER Driver ($15), Sams Club ($10), Groupon (2%), Jet (4%), DirectTV ($25), and Dish ($75). I've only been using Acorns for 7 months and my investment is already around $2,000. My rate of return? It's 12.5% return in 7 months and that's with me hands off my investment. Banks pay 0.01% per year. Can't beat that. 3. Be cognizant of the investment fees. Never overlook at the investment fees. They are money sucker. According to Morningstar Research, the average expense charged by ETFs and mutual funds is 0.61%. Looks not alarming, but wait until you calculate expense for the next 20 years. If you have $100,000 invested, you would be paying $690. If that $690/year is invested instead at 15% compounded annually for 20 years, the result would be $73,681.15. Imagine if you have $150K, $200K, or more invested. There's a product called Blooom that will analyze your investments for FREE. It can spot hidden fees, tell you if your portfolio is too aggressive or not, and find out how much you could be missing out on by DIY-ing your 401k. A lot of its clients cut their hidden investment fees by 46%. That's remarkable. Just five minutes with Blooom will help you see your 401k's health at a glance and could save your retirement. If you like what you get from Blooom, you can avail its service for $10/mo, which include unlimited access to a financial advisor. How much is the typical advisor's fee? The answer is a lot. 4. Know when to invest (i.e. time associated with when to use money). One of the best tips before investing is knowing when to invest. Time also refers as to when one invests in the stock market. Do you invest all your money at one time when the market is down? How do you know when the market has bottomed? Do you apply the “dollar cost averaging”, which can protect you from the risks associated with investing your money at one time? The practice of dollar cost averaging is essential especially during a volatile market. By applying this strategy, you are reducing your risks by making consistent investments each time over a period of time. This will likely help you buy more shares for the same amount of money when the market is down, which won’t happen if you invest all of your money at one time (i.e. when the share prices are high). Investing in the stock market should come with a purpose. 7. Be knowledgeable on investments. The more you understand about the products within the stock market, the better your chance in succeeding in investing in the stock market. 8. Define your risk tolerance. On the other hand, those who take greater risks have better chances of getting higher returns. According to FINRA, the level of risk typically correlates with the level of return that an investment may achieve. 9. Find better use of resources. A lot of people want to invest in the stock market to make their money grow. But another important consideration to be aware of is whether your money can be better used somewhere else. 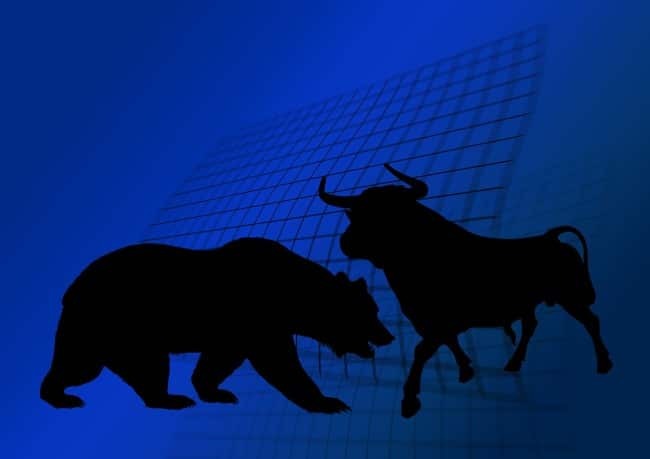 When deciding to invest in the stock market, it is in the best interest of the investors to ask if they are better off investing their money in the stock market or address issues that involve using money like credit card debts, emergency funds replenishment, among others. For example, you have $10,000 that you consider putting up for investment; however, you also have $10,000 in credit card debts with an average APR of 15%. As an investor, you should consider if it’s best to pay off the debt or invest the money. In a perfect world, the answer is to invest the money if the investment produces at least 15% every year plus some interest to cover for tax liabilities. But if it’s not the case, then, it’s better to pay those debts off.